With the right ice cream maker, it's possible to whip up a batch of everyone's favorite frozen treat that rivals the best of your grocery in taste, and certainly in price. We've narrowed the dizzying array of available models down to our top five. An ice cream maker is a machine that produces ice cream by simultaneously freezing and churning a mixture most often containing cream, sugar, and eggs. Some models use a double-walled bowl containing a liquid coolant that must be frozen in advance. More expensive models have a freezing mechanism built in. Still others use the traditional method of ice and salt (which dates back to the mid-19th century). Ice cream makers can be electric or hand-cranked. 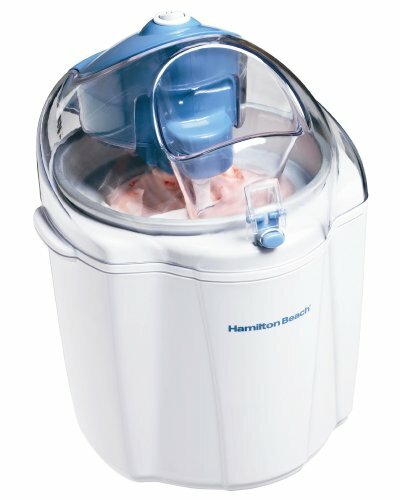 Good Housekeeping's choice for a budget buy, this fully automatic Hamilton Beach model churns up delicious ice cream in 25 minutes and is a hard-to-beat combination of quality and value. Its gel canister fits easily in the freezer, and its outer bowl prevents condensation buildup on the counter. Users appreciate the easy clean-up as well as Hamilton Beach's excellent customer service. Drawbacks include the unit's small capacity and the up-to-22-hour freezing period its bowl requires before use. But if you're on a tight budget, this is the ice cream maker to buy. 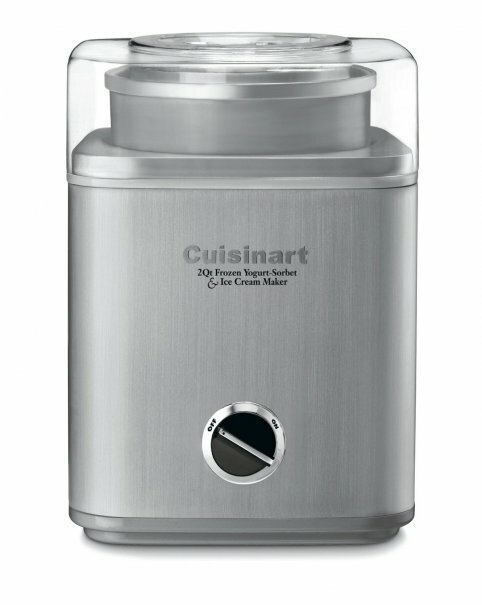 The sleek-looking Cuisinart ICE-30BC — Good Housekeeping's top overall pick — earns high marks for the tastiness of its ice cream and for the selection of delicious recipes that come with the manual. Handy features include a cord storage compartment and an ingredient spout that allows you to add chocolate chips or nuts without interrupting the freezing cycle. The bowl requires freezing in advance, so if you wanted to make back-to-back batches, you'd have to invest in an extra freezer bowl. 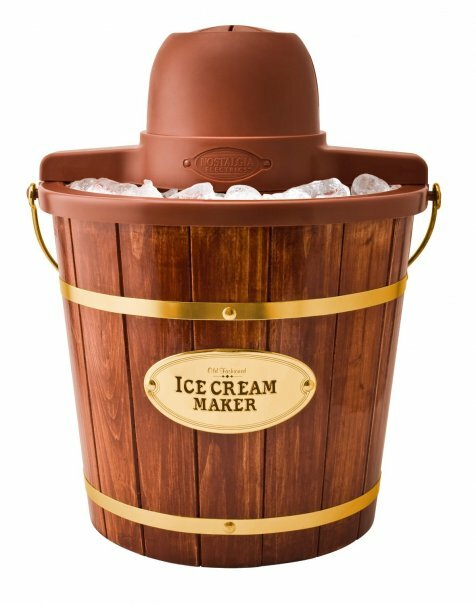 With its wooden construction and ice-and-salt method, the aptly-named Nostalgia Electrcis Wooden Bucket harkens back to the earliest ice cream makers, adding the modern twist of an electric motor. Filling the bucket with ice and rock salt every time you scream for ice cream may require some patience (and is potentially messy), but users say the tried-and-true formula turns out ice cream with perfect consistency. Its large capacity is also a plus, and of course there's no pre-freezing required, making multiple batches an option. Other features include a deluxe metal handle grip for easy carrying and storage, and a plastic insert so the bucket doesn't leak. 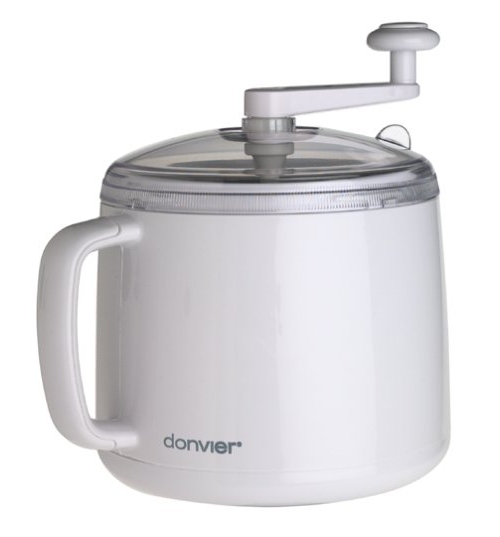 The only non-electric model on this list, you won't be limited by the length of a power cord with the Donvier Ice Cream Maker. Just freeze the bowl for seven hours, then crank your mixture by hand, intermittently, over the course of 15 to 20 minutes. The Donvier comes with an exceptionally long 10-year warranty, and the instruction booklet contains many recipes. Some users report that your freezer temperature has to be just so in order to get optimal results, so some trial-and-error may be required. 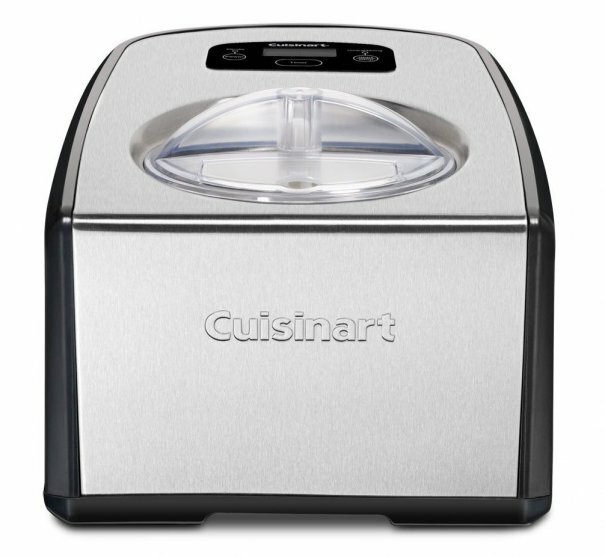 Unlike the other Cuisinart model on this list, the ICE-100 uses a commercial quality compressor, which means no lengthy pre-freezing of bowls. You can make ice cream at a moment's notice and can churn up as many batches as you like. This convenience comes at a price, however; the ICE-100 retails for more than twice as much as the ICE-30BC. It also takes up a fair bit of counter space. But users rave about the quality of ice cream it produces. Nifty, high-end features include a touchpad control panel with LCD readout and two separate paddles, one for gelato and one for ice cream. The Donvier is great! I have one that I've had for 15+ years - I keep the cylinder in the freezer all the time so I can have a frozen treat whenever I want it. Be careful to handle the cylinder carefully according to the instructions and make sure not to lose the paddle and it will work for you for a long time. Rather than ice cream I often freeze fruit juice and make a sorbet-like freeze to keep it healthier, and it's ready in about 10 minutes. 90+ here in So Cal today, I'll be making one tonight!